The Fashion Class is a year round fashion design and sewing studio located at 21 West 39th Street in the garment center of Manhattan. We are the only camp for teens that both teaches sewing as well as the business side of fashion. 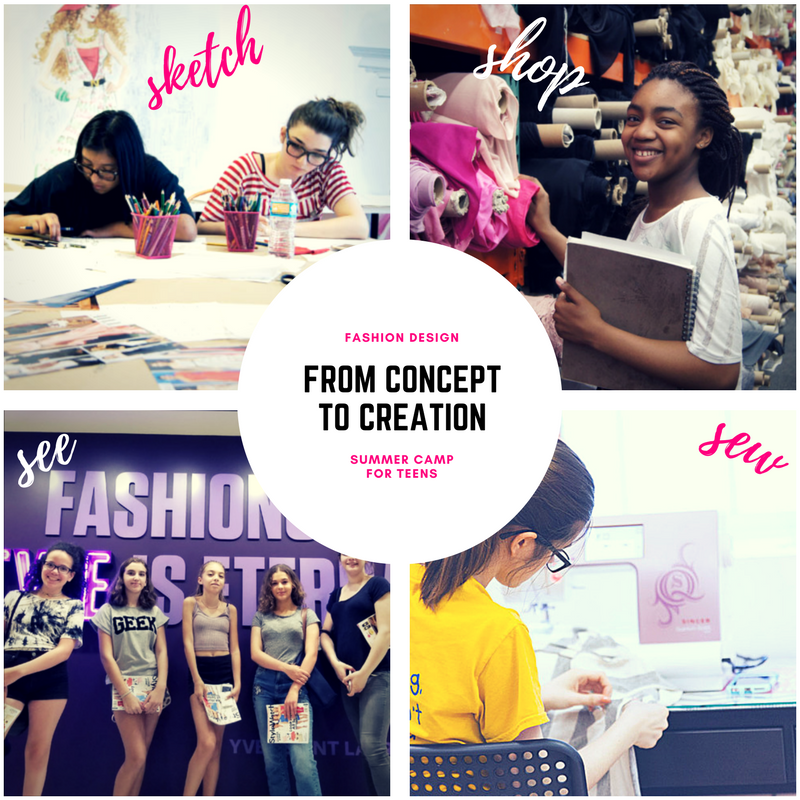 Now in our seventh season the Teen Summer Fashion Camp will explore different facets of the fashion industry (like design, marketing, pricing and selling) and spend the afternoons in the sewing studio creating actual garments. About The Fashion Class: In 2009 founder Kerri Q. created The Fashion Class as an after school program for children attending one private school in Manhattan. After the class doubled (and then tripled) in size she decided to branch out! That summer, once school had ended, The Fashion Class was born as a fashion summer camp in Brooklyn, NY. The campers made all kinds of fabulous clothes & accessories and wanted to continue their sewing that fall. The Fashion Class kept growing and adding classes, teachers and new fun sewing projects. The first Manhattan class opened in 2011. 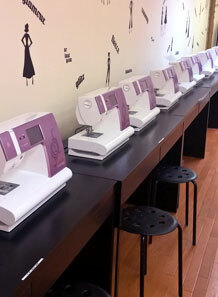 We now offer sewing classes in Midtown Manhattan and Merrick Long Island for teenagers ages 13 through 17 years old. Check us out in Time Out NY Kids, NY Magazine, Pix 11 news and NY1 where we’ve been featured as a NYC parent’s pick! Students work on computerized sewing machines by Singer that are easy to use and equipped with needle guards for extra safety. All supplies are included in our fee and all students keep their creations. Our amazing instructors work in the fashion industry as apparel, costume, and accessory designers as well as fashion illustrators whose clients range from Sesame Street to Target! Our student/teacher ratio is always 5:1 in classes and camps. The Fashion Class focuses on fun and fabulous fashion themed classes where students learn to sew in a creative environment. 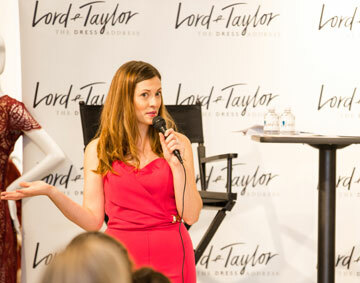 Kerri Quigley is the creator of and instructor at The Fashion Class. While at Parsons School of Design she created her own women’s clothing line manufactured in NYC’s garment center & later India. Her styling and fashion work has been seen in Teen Vogue and Cosmo Magazine online. She’s passionate about the teen fashion camp program as she believes it’s essential to teach up and coming designers not only how to design but how to get a design business off the ground. When she’s not teaching fabulous fashion to children you can find her sewing bathing suits, styling fashion shoots, or designing dog clothing!